Commuters in Oban were left facing another day of travel disruption as engineering works saw the town’s main rail line close for an unplanned sixth day. 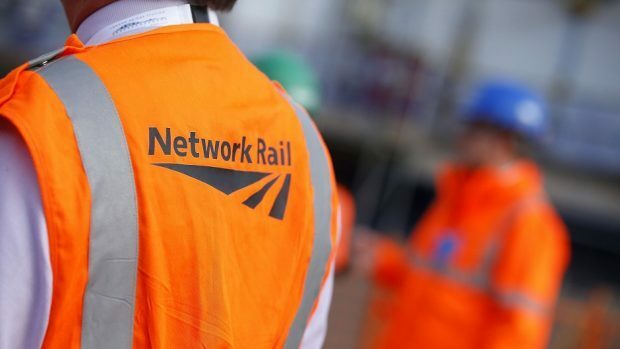 Train services between Oban and Crianlarich were suspended for the entire day yesterday, as Network Rail engineers conducted a series of safety checks on the line. The route originally closed on Saturday as the works between Oban station and at the Orchy viaduct, near Loch Awe, got underway; with the line due to re-open yesterday. After heavy rain and high winds wreaked havoc across the Highlands this week, the rail operator confirmed the line would remain closed as engineers remained on site to ensure it was clear of obstructions and potential damage. Replacement bus services between the two stations remained in operation during yesterday’s closure, with all services between Oban and Glasgow Queen Street terminating and beginning from Crianlarich. However, the Scottish rail operator confirmed that the six stations located between Oban and Crianlarich – including, Tyndrum Lower, Dalmally, Loch Awe, Falls of Cruachan, Taynuilt and Connel Ferry – would remain out of service. A ScotRail spokesman added: “We’re sorry to customers for the disruption caused by Network Rail’s overrunning engineering works, and share their frustration when these things happen. Councillor Julie McKenzie for Oban North and Lorn said: “Whilst engineering work to the line has caused inevitable disruption, the extreme nature of the recent weather conditions has also caused considerable problems to transport connections across the area. Meanwhile, rail services to Inverness were also subject to a series of delays yesterday. The 12.09pm service leaving from Glasgow was delayed at Aviemore by 11 minutes following issues surrounding slippery lines; meanwhile, the southbound 12.53pm service from Inverness to Edinburgh remained stuck at Perth for a short time due to a late running train ahead. Also, two services heading east through Aberdeen – prior to their arrival in Inverness – were terminated at Dundee, as a result of a derailed Scotrail train at Stonehaven.